Katya Balen is co-director of Mainspring Arts, a not-for-profit that supports neurodivergent and autistic people to access creative opportunities. She studied English at university, and completed an MA researching the impact of stories on autistic children’s behaviour. When she’s not writing books or funding applications, she’s busy trying to coax her ridiculous rescue dog to go for a walk. She lives in Reading with the aforementioned dog and her partner, an NHS psychiatrist. 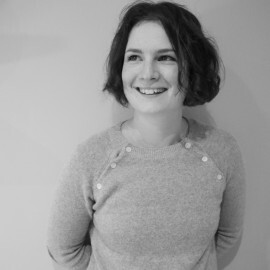 Her debut children’s novel The Space We’re In will be published by Bloomsbury in 2019 with a second book following in 2020.